Weekend hours for the public Saturday-Sunday, May 6-7, noon to 4 p.m. for Marin Open Studios (alongside art from Suzanne Joyal who co-created the Walker Rezaian Creative HeArts program and YIA Mentor Artists Cathy Bowman and Julia James). Free tours are available weekday for school and youth groups by appointment only. Email jdaly@youthinarts.org or call 415-457-4878 ext. 150 to reserve. 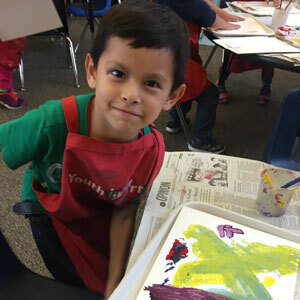 The Walker Rezaian Creative HeArts Kindergarten Arts Program is supported by the Walker Rezaian Creative HeArts Fund celebrating Walker’s life, love of art and friendly personality. Schools apply each year for this grant-funded program that includes a full visual arts classroom program, teacher coaching and family art events. Click here for more information.